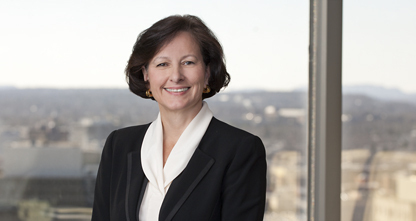 Under Leah Reimer’s leadership, Cantor Colburn’s Chemical, Material, and Life Sciences Department has grown into the firm’s largest department with nearly 40 attorneys and patent agents who are dedicated to adding maximum value to client products and services by protecting their intellectual property assets. Leah provides Fortune 50 and other technology-based companies with sophisticated, creative solutions to complex legal and technical issues. Her counsel is fully supported by the knowledge and experience gained through her Ph.D. in organic chemistry, her work as a research chemist at Eli Lilly and DowElanco, and her success as an IP attorney. Leah’s patent prosecution practice is focused primarily on polymer and materials science; pharmaceuticals and pharmaceutical formulation; agricultural chemicals and their formulation; nanotechnology; and metallurgy and ceramics. She teaches Advanced Patent Law at the University of Connecticut School of Law and is a frequent speaker on emerging areas of patent law. She is one of the Top 250 in IP Law (IP Stars) and a Woman of the Law High Achiever (Connecticut Law Tribune).